Autumn. Lammas or Lugnasadh is the first of the three harvest festivals. 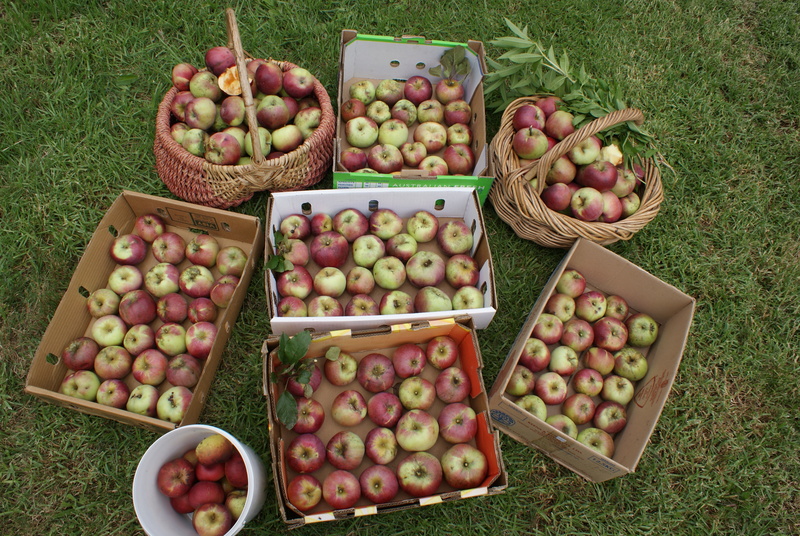 At Lammas the fruits of the Summer are ready, and it’s a time to celebrate the bounty of life. When Lammas comes, around August 2, Summer is over and Autumn begins. The days still seem long, but they are getting shorter. Holiday time continues but it’s a different feeling, slower. The cycle of the seasons teaches us so much, especially and perhaps most importantly, to be present to what is, for soon enough it will pass, as we continue on the cycle. Our metaphoric harvest, as well as our literal harvest, needs to sustain us all winter whilst nothing grows and the seeds of the new lay dormant in the Earth, the time of inward reflection and contemplation. The harvest needs to sustain us well into spring when the new shoots will grow. At Lammas, we have the opportunity to assess the fruits of our labour, and see whether our Spring and Summer activities of this year, in the metaphorical garden of ourselves, in fact yielded, and will yield further into autumn, the harvest we wanted and hoped for. Perhaps we need to learn new ‘gardening techniques’, again metaphorically speaking, for a greater, more sustaining harvest next year. The other garden activity for Autumn is pruning and the deciduous trees let go of their leaves. This energy is also present for us as beings of the Earth effected by Her seasons. The way this all shows up is different for everyone, however there are similarities and they are the feelings that arise in us as the ‘party ends’, the feelings we have as we begin the decent into the darker seasons. Women have his experience first hand every menstrual cycle for weeks 3 and 4. After ovulation, if she has not conceived, a woman’s body prepares to release the unneeded uterine lining and as this happens she feels many feelings. Mostly they are in the category of what she needs to let go of, or what no longer works in her life. Journal about what your harvest is, are you happy with that? What do you need to bring in or gather other things to sustain you for the rest of autumn and up coming winter? The harvest festivals continue into Autumn. The seeds from these harvests will go back into the Earth, gestate over the Winter, and be what will be reborn in the Spring. This happens literally in the garden and metaphorically in our lives. Perhaps if you’re not happy with the ‘seeds’ your current harvest will create, then you might choose to plant different ‘seeds’ for your new growth cycle next Spring. Make new plans, start new ways so you don’t repeat anything that didn’t work so well from the last cycle. Autumn is a time for reflection and learning what worked and didn’t work. A wonderful way to honour this time is to gather your family and friends around a bounty-full cornucopia-like feast and give thanks for all that life brings to you, for the harvests of your efforts and the gifts of the Earth. What has your year long growth cycle produced? What have been the ‘fruits’ of your ‘labour’? What worked to produce a bounty-full harvest? What didn’t? You could modify this for your children asking specific questions about the things they have been doing or learning and how they are going with them, or what they have learned from their activities.